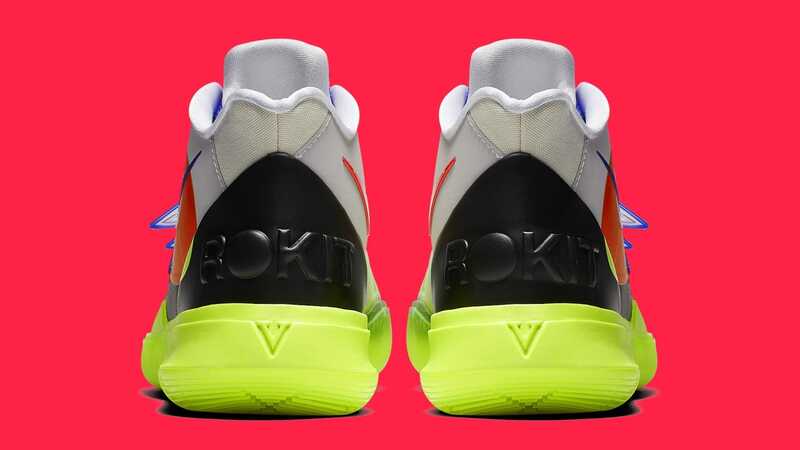 LA-based streetwear label ROKIT has partnered up with Nike for a crazy colorway of the Kyrie 5 which will reportedly launch during the upcoming NBA All Star weekend in Charlotte, North Carolina. 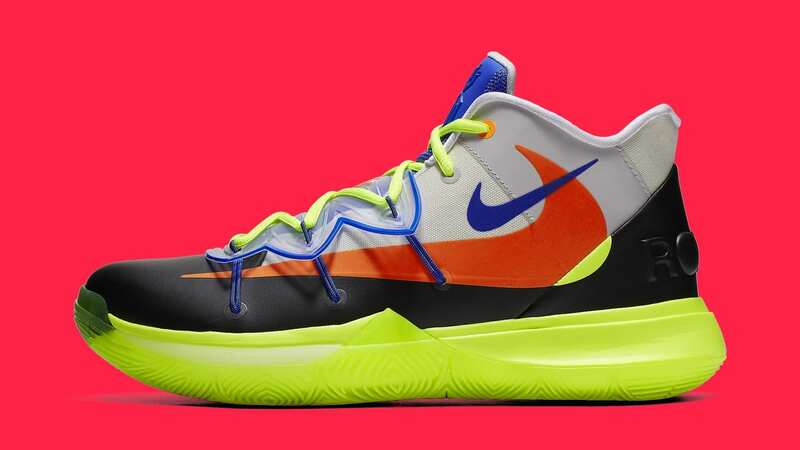 The special edition Kyrie 5s are highlighted by a multi-color design consisting of hits of volt, black, grey, blue and red. 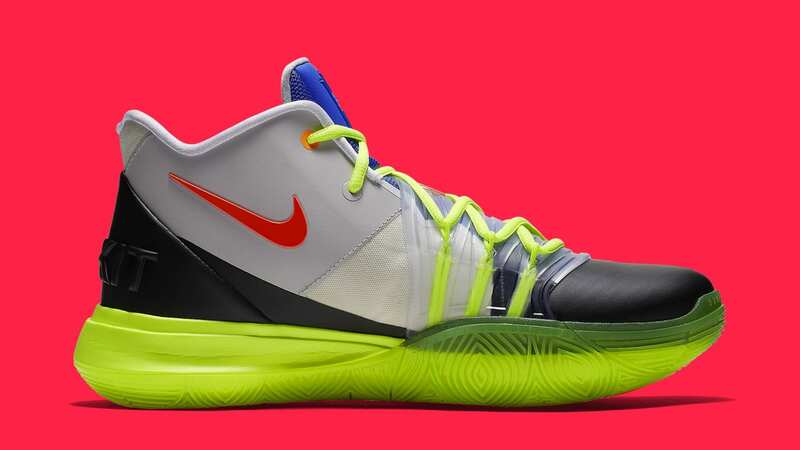 Additionally, the ROKIT x Nike Kyrie 5 comes equipped with a translucent 'flytrap' shroud and multiple Nike swooshes, both big and small. 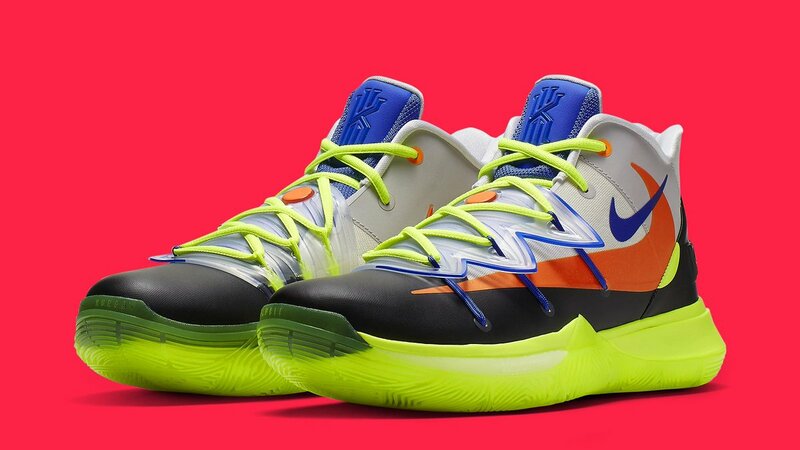 Nike has officially confirmed that the ROKIT x Nike Kyrie 5 collab will be available this Saturday, February 16 for the retail price of $140. 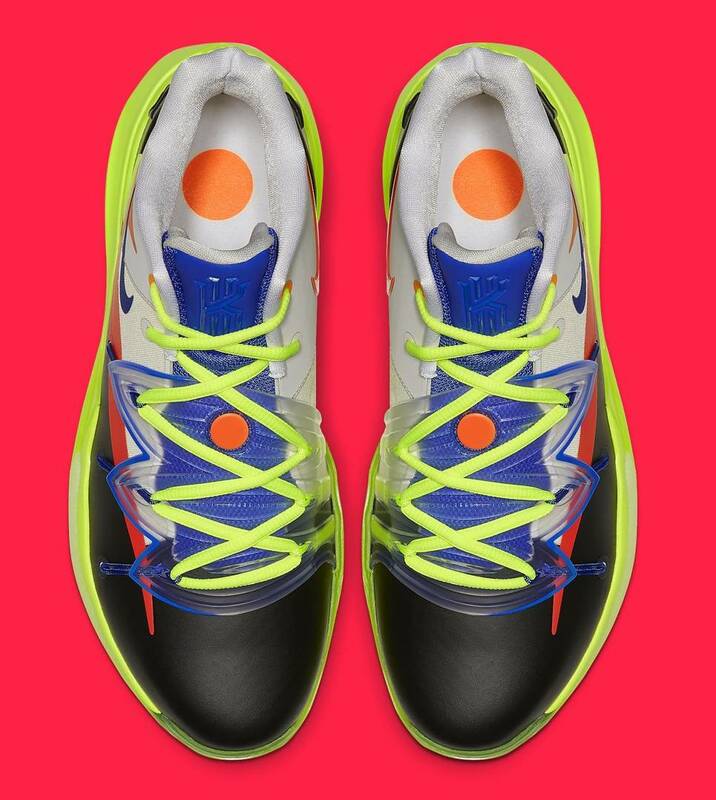 That said, it remains to be seen if this is the pair that Irving will be lacing up for Team LeBron in Sunday's All Star Game. Check out the official photos below. Cardi B Thanks God's Blood Sacrifice & Fans' Loyalty Through "The Fake & The Lies"